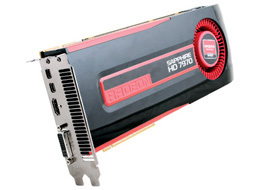 In December, 2011, AMD announced the launch of a new generation graphic card the Radeon HD 7000. 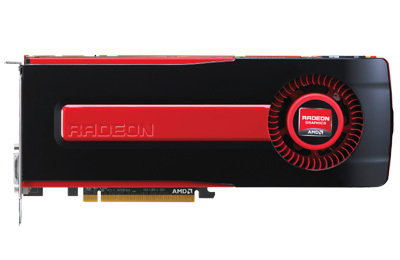 Radeon HD 7970 and HD 7950 into two AMD champion the first time comes to the market. A new chapter in the graphics card war has begun. Just as before, AMD started the year 2012 by presenting the latest line of graphic card. This time, AMD presented its top two champion, Radeon HD 7970 and HD 7950. 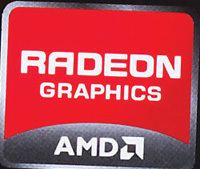 Both series graphics cards are based on AMD’s latest graphics chip, called Tahiti. The new graphics chip will replace the Cayman along in 2011 via a series of hugely successful HD 6970 and HD 6950. Tahiti graphics chip is not just a successor only. A number of improvement as well as a variety of new features embedded AMD graphics chip upscale. The first is of course the number of shader processors are far more than ever before, 2048 for HD 7970 and HD 1792 for 7950. Its performance is also increasingly savage with the support of a large-capacity memory and 384-bit memory interface that is wider. This is higher than predecessors and competitors are on average still 256-bit wide. In addition, there are again some improvement as well as features that are present in both series graphics cards. What are they? And what about performance when compared to other upscale graphic card? Check out our soft reviews below. 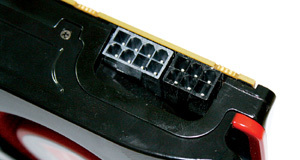 Eyefinity is a feature mainstay since AMD first introduced via a series of Radeon HD 5000. In this series Radeon HD 7000, you can combine multiple monitors and make a resolution up to 16 000 x 16 000 resolution. Use custom resolution is also possible so that you can combine several monitors that have different resolutions. Radeon HD 7970 and HD 7950 are ready with PCI Express 3.0 standard. PCI Express 3.0 standard will be adopted slowly by the latest generation of motherboards. 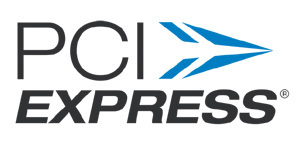 PCI Express 3.0 allows flow greater bandwidth than PCI Express 2.0. Tahiti graphics chip used in the Radeon HD 7970 and HD 7950 is ready for DirectX 11.1 will be present at the time Windows 8 is launched later. In addition, the graphics chip also has a Universal Video Decoder (UVD), which has been updated and is ready for a variety of latest multimedia codecs. Using a 28 nm production process, the Radeon HD 7970 and HD 7950 is certainly going to consume more power efficient. As a result, the Radeon HD 7970 and HD 7950 has a number of theoretical power consumption 250 W (HD 7970) and 200 W (HD 7950). This value is equal to its predecessor, HD 6970 and HD 6950, with a performance and a higher specification. 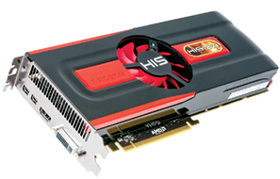 Radeon HD 7970 and HD 7950 has a specification that is faster than the HD 6970 and HD 6950. Starting from the faster core, more processors, until the interface more memory width. Check out the table below to get more information. By using the new graphics chip more powerful, it should Radeon HD 7970 and HD 7950 performance is more hurried than its predecessor. 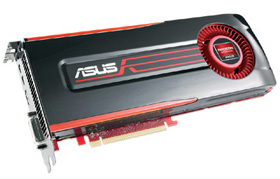 We have tested both the graphics card and compare it to the Radeon HD 6970 and Nvidia GeForce GTX 580. And the result, it is superior to both the graphics card, the Radeon HD 7970 which particularly excellent in all tests. Check out testing results in the table below. 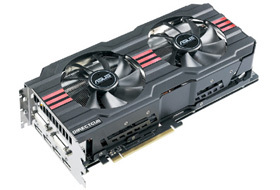 Some graphics card manufacturers now have a product line that is based on a good graphics card Radeon HD 7970 and HD 7950. As usual at the beginning of launching a new series of graphics cards, graphics cards are present majority still use the card design and standard reference coolers from AMD. Similarly, who still follow the standard specifications. Below are some graphics card Radeon HD 7970 and HD 7950 have slid to the market and have come to our test table. If you need maximum detail on every game you play, the Radeon HD 7970 and Radeon HD 7950 could be a very attractive option. At current competitors are still preparing new product line, AMD is better prepared to present two graphics cards. In terms of performance and features, the Radeon HD 7970 and HD 7950 could be a potential partner for the master class graphics card on the market during the year 2012.